O2 has announced it will be stocking the HTC Smart - a budget smartphone from the Taiwanese brand. Although it was announced a month ago, the HTC Smart has yet to be confirmed in the UK by any network - until the current O2 announcement. The phone is running Qualcomm's Brew platform, which is designed to facilitate low cost smartphones. The HTC Smart is packing the company's Sense UI, which gives a number of swipe-able home screens for popping different widgets on, such as weather and messaging. "Qualcomm's collaborations with HTC have resulted in some of the most innovative smartphones the market has seen in recent years," says Paul Jacobs, chief executive officer of Qualcomm. 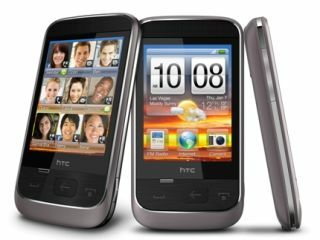 "The HTC Smart is a budget-friendly smartphone that delivers a really exciting user experience. We are pleased to be supporting HTC's move to bring this advanced mobile experience and HTC Sense to the widest possible audience." The Brew platform has been used in a few phones so far, such as the INQ Chat 3G and INQ Mini 3G, so we'll be interested to see how many more Brew-based phones appear in 2010.